Sole Mates original fluid filled insoles by Sole-Mates are extremely comfortable because they mould to your own personal feet. They have been sold in the USA for over 20 years and now they are available in the UK. They do not leak because they are made to the highest quality and because of this confidence they also come with twelve months warranty. Hygiene Control: To keep your insoles fresh we recommend that you machine or hand wash at 30 degrees. We are often asked "But how can 'Sole-Mates' be so thin and yet still work"? Well unlike foam or gel, you can't compress a fluid, so it won't flatten when you stand on it, it simply displaces across the foot. Because it won't compress it doesn't need to be bulky meaning that it takes up very little room in your shoe. In fact they're so thin they can be worn in any type of shoe - even high heels. How do they help Plantar Fasciitis & Heel Pain? If you suffer from heel & foot pain especially first thing in the morning or after sitting for a while then read this as you may have plantar fasciitis. Plantar Fasciitis occurs as a result of small tears in the Plantar tendon which is the tendon that spreads across the sole of the foot supporting the bones of the foot and which is designed to absorb the pressure from our weight as we walk, stand or run. When the tendon is correctly supported it is fine, but because modern shoes have little or no support and we tend to spend most of our time walking on hard, flat ground, the tendon can get over stretched causing pulling at the ends of the tendon and creating tears. The initial tear in the tendon is usually quite small and is often not even noticed but when it is subjected to further pressures and tearing due to a lack of support then the pain typically begins. The tendon will begin to attempt to heal itself, usually when the weight is taken off it, when for example you are at rest sitting or after a nights sleep. However, once you stand up again, because the tear has only had a short period of time to begin to heal, the pull and load on the tendon may cause further damage to the torn area causing it to open up again which is extremely painful, much the same as tearing a scab off a cut. However, this is why these supports are very good because the fluid squeezes up under the arch of the foot as we weight bear. 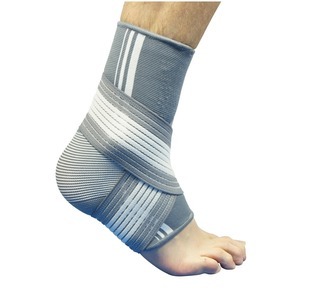 This immediately helps by supporting and protecting the tendon from further tearing and usually relieves the pain straight away. We advise people to put them in a pair of slippers next to their bed so when they wake in the morning they put the slippers on BEFORE they stand up and the insoles protects them from tearing the tendon, allowing it to continue to heal. You will probably be familiar with the heel and foot pain when first standing up if you suffer from PF. The massaging action of the fluid as we walk also helps speed up the recovery process by increasing the supply of blood and oxygen across the foot and tendon. How do they help Fallen Arches? Because fluid has no shape, it moulds to the individual foot, providing support to the arch as well as the heel and ball of the foot. This is because a person's weight pressing down on the heel and the ball, forces the fluid up under the arch with the same pressure, lifting and supporting the arch naturally without the use of a hard orthotic. This lifts and supports fallen arches to help relieve the pain and pressure on not only your feet but also through an improved foot position the pressure on your the knees. By lifting and supporting your arch the fluid helps spread the weight more evenly across the whole of the foot, relieving the pressure points on the heel and the ball and making walking a lot more comfortable. How do they reduce Knee and Hip pain? As the heel comes down, the pressure exerted on the foot, rather than pressing against something solid, is transferred into the fluid, pushing it forward so that, when the ball of the foot comes down, the fluid is there to absorb the impact and be pushed back to the heel for the next step. Therefore, rather than just cushioning the impact, the insoles act like a shock absorber in the shoe, relieving pressure on the joints which have to absorb the impact of us walking on hard ground. How do they Increase Circulation? The constant movement, pushing the fluid backwards and forwards across the foot, gently massages the muscles in the foot. If you massage a muscle it increases the circulation, bringing more blood and oxygen to the legs and feet, helping reducing tiredness caused by standing or walking over long periods of time. Trials in the US on liquid orthotics showed that, if used for six hours a day, the average increase in circulation to the feet and lower legs was around 53%, a significant increase if you're on your feet all day. How do they help Morton's Neuroma ? They lift and support the longitudinal arch, shifting excessive weight from the metatarsal arch. This allows the metatarsal bones to settle back into their proper place & helps reduce nerve pinching that causes the pain of Morton's Neuroma. How do they Help You if you are Diabetic or suffer with Gout? The increased blood flow also helps prevent the build-up of toxins in your feet which occurs at the end of the day when the circulation tends to slow down. This can lead to the build-up of sugars for diabetics which can block the veins in the feet and uric crystals which cause problems for people who suffer from gout. So, not only are our liquid orthotics a lot more comfortable, they also provide other benefits that an ordinary insole is simply unable to offer. How do they help Bunions? 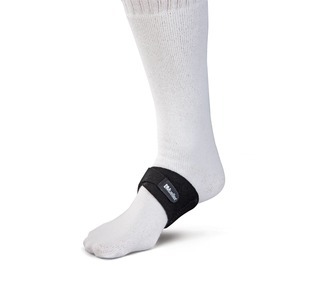 They offer support by lifting the foot arch which helps relieve stress on the cords that align your big toe. These cords can become stressed and cause the big toe to turn inward and this may often result in a bunion developing on the joint. The dynamic fluid action of our Comfy Feet Liquid Insoles relaxes the toe and relieves the stress on the bunion as well as providing a soft platform for the bunion whilst walking. How do they help Lower Back Pain? Our shoes can look fashionable and even comfortable but if your foot isn't supported correctly then the foot and the arch of your foot tend to collapse. This leads to a poor foot position and gait - that's the way you walk - which then causes the lower back muscles and joints to become strained as they attempt to overcome what is essentially a bad foundation preventing us from remaining effective in our gait and upright posture. However, the fluid in your insoles pushes up under the arch helping us back to our correct posture and so relieving pressure on the muscles and joints in your back. And if I just get tired feet? If you just spend too much time on your feet and they become tired, stiff and uncomfortable and feel like a good massage is needed then these will do just that. 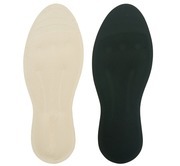 The fluid gently moves back and forwards under each foot providing a personal foot massage every time you wear them. Dear Julie, thank you for taking the time to share your feedback, it is much appreciated and I am glad to hear that your knees are feeling much better. I suffered from plantar fasciitis in my right foot, but having worn this product for just a few weeks the discomfort is a fraction of what it was beforehand. I can now complete a round of golf without hobbling the final few holes. I'll certainly be buying another pair soon. Dear David, thank you for taking the time to write a postive review we are pleased that the Comfy Feet Liquid Insoles are helping and that you are able to enjoy golf again. Dear Rachel, Thanks for taking the time to send us your feedback and of course we are pleased to hear that they are helping your lower back pain. Life changer! I have managed to survive a week at an exhibition standing on hard surfaces all day from 07:00 till 22:00 without sitting down thanks to 'floating' on the insoles. It does feel a bit like walking on a deflated paddling pool, but the pain is greatly reduced. and you soon get used to it. I went straight in to 100% use last week with no issues, other than they needed washing out and so I have bought a second pair and a larger set for wellies. Hi Caroline, I can remember speaking with you about these, so glad they did the job. Many thanks for taking the time to send in your review. For two years I have suffered with severe pain under my heel first thing in the morning and after I have been sitting for a while. Browsing the internet, I found these insoles and decided that I would try anything to relieve the pain. I didn't expect such amazing results. Although they feel very strange to walk on at first, you quickly get used to them and after using them for just two days I can already feel an improvement. The pain is nowhere near as bad and I'm hopeful that with further use it can only get better. I'm thinking of buying a second pair so that I don't have to swap them between shoes and slippers. I would definitely recommend this product and would give a 10 star rating if I could. Hi Karen, We are so pleased that you are feeling the benefit of our insoles and thanks for taking the time to share this with others. I thought they would be even softer to walk on to be honest. But I do put them in all shoes. I'm not as tired in my feet from standing up all day as I was before. Took a few days to get used to using them since they squish around and it's a new feeling to my feet. Didn't have time to do as suggested, use a few hours a day in the beginning. I just use them all day every day. Think I had them upside down in the shoes first day, the grey lined side up, that hurts! Black side of them up, seem to be correct. I wish my review was more helpful. I have recommended them to others, they are, what I would call, true to size, machine washable, and u get a new pair within the first year if they break. Good stuff. Tired feet will thank you. Have been using these for a couple of weeks and they are more comfortable to walk in but my heels are still very painful.Early days I suppose. Have had very sharp pain in the ball and toes of my right foot for 3 months causing me to limp quite badly. Doctor said I had arthritis but X-rays were normal. I've been wearing these insoles for a week and the improvement is considerable and it I can now walk without a limp. Have high arches and feet really painful. Bought these and at first felt really weird but soon got used to them. The weirdness was far better than the pain. They are a brilliant product. I wear them in every piece of footwear I have as they are so thin. I love this website. I've had planter fascitis for about 9 months, these sole mates do seem to spread the compressive body mass load across the foot interface with the shoe effectively. I wore them all day on a walk about in London and seem to have got away without recurrence of the pain I normally get so they appear to be effective for me. I started using them about 10 days ago so I t is early days in terms of a cure. I had really bad pain in the arch of my left foot for about 4 months, saw these insoles and after reading the reviews, thought I'd give them a go! Wow! They really do work! I've only worn them walking the dog 3 times and the pain has almost gone. Strange sensation wearing them, but they work! Had pain in arch of foot for about 3 months. Tried various remedies - none worked . Bought these insoles about 3 weeks ago - pain has gone! I'm buying another pair! I wear them all the time- even in my slippers! Once you get used to them, you cant be without them. Very very pleased with the product, they are very comfortable and have relieved the pain in my heel a lot, and I am well on the way to a full recovery, all in all I can recommend this product to anyone. As a practising physiotherapist I can only applaud you for a great customer service and supplying high quality products to date for my private clients. As you know I order with you frequently in particular the lumbamed supports (male & female) and your wonderful insoles so I hope you continue your great work. Wow! Since I bought the two products plantar fascists support really helps my arch by holding it firm when I wear it all day. 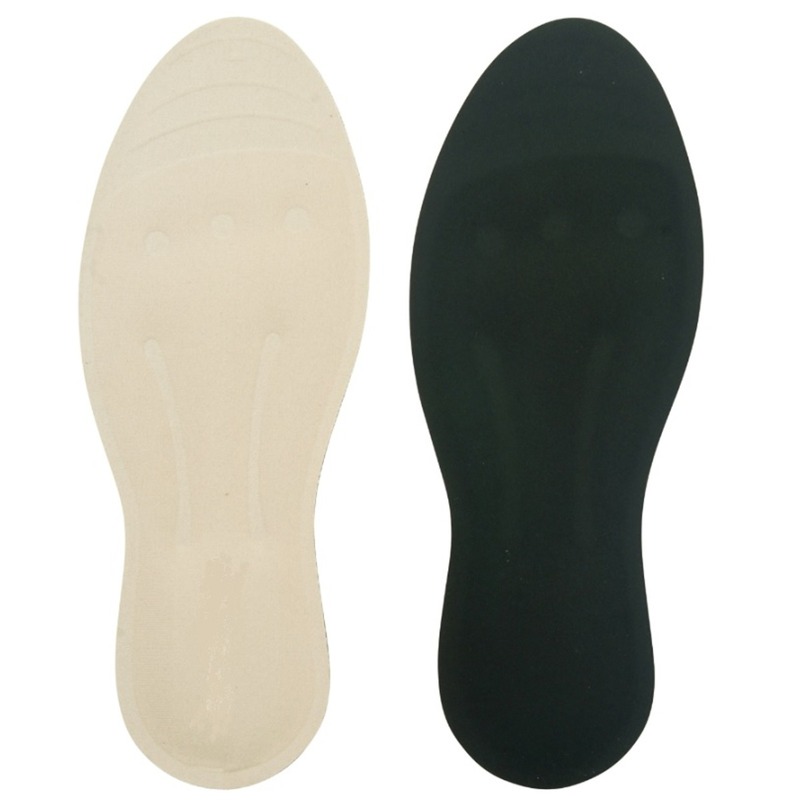 The come feet liquid insole moves like a liquid as a walk under my feet since I bought about two weeks now I have been able to walk a long distance and stand much better than before. Although I left the pain yesterday at around 7pm and that was because I have been on my feet for two days which I couldn't do at all before. Thanks to these marvellous products . I would recommend these products to anyone suffering from this pain . These insoles are great, they have helped a great deal with the pain from Plantar Fasciitis I would recommend them to anyone with painful feet. Since buying these insoles the pain in my heels have now gone. Thank you for a good product. Would recommend. Bought these to put in my walking shoes. Just come back from Lake District and feet felt wonderful. Wished I'd bought these years ago. Hi David, For a wide fitting then I would order the size L. All insoles can be easily trimmed to fit inside your shoe. Hi Paul, They can be cut to size with regard to length so as to create the perfect fit for your shoe. They cannot be cut to alter the width but if you require further specific details about width and shoe size then contact us and we will gladly assist you. In terms of suitability for use on concrete floors the answer is most definitely yes as they should reduce the impact on your heels.